As children, we’re practically programmed to wriggle away from needles. (If you need proof, just watch anyone under the age of six get a vaccine.) Over the years, this aversion simmers down to a tolerable resentment — for some of us. For others, merely looking at a needle (let alone voluntarily allowing one near the skin) still provokes anxiety. If you’re in the lattermost camp, chances are you shudder at the thought of receiving cosmetic injectables. But if syringes are the only thing holding you back from injectable wrinkle reducers or filler, fear not. Below, tips for thwarting your fears. Get in the car and go. It’s just like making it to that 7 a.m. pilates class: the hardest part of coaxing yourself to face an injection might be dragging yourself to the appointment. In fact, Jepson notes that needle-shy patients who make it as far as the office almost always go through with the injections. Don’t believe everything you’ve seen. Think of the big picture. Here’s one astute analogy that many of us can relate to: “I hate flying but love to travel. I put up with my fear because I really want [the end goal],” says Dr. Jepson. Consider your injections in a similar fashion — you want the results of the treatment, so you can conquer your fear of the needles in the name of achieving a smoother forehead or fuller lips! Ask for the bells and whistles. Says Lee, “For some people, it's the anticipation of being hurt that is the primary factor behind their [needle] phobia.” If this sounds like you, rest assured: The vast majority of providers, if not all of them, offer topical numbing cream [Editor’s note: trust me, it works!]. 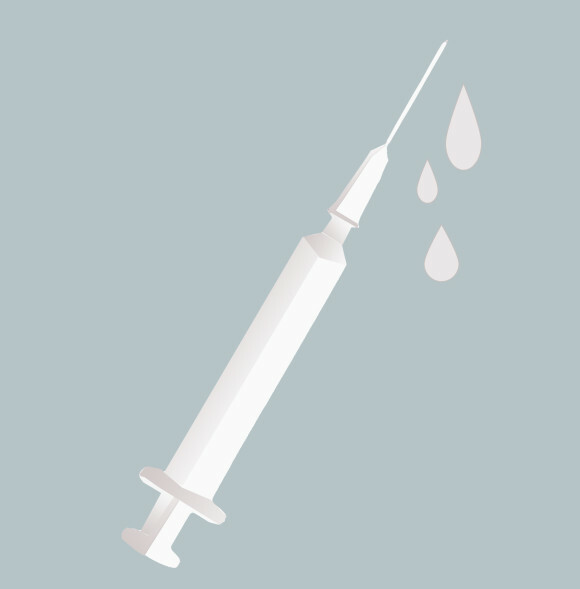 Moreover, some of the newer injectable fillers on the market contain topical anesthetic within the syringe itself! See the light at the end of the (short) tunnel. You won’t have to be ohm-ing too long, though. Cosmetic injections — particularly in the case of injectable wrinkle reducers — are super-speedy.“First-timers are always surprised with how fast it is,” Jepson shares. Treat the root of the issue. If you suspect your needle aversion goes beyond fearing pain (and may go as far as avoiding vital vaccines, medical care, and blood drawing as a result) you may have symptoms of trypanophobia — a recognized (and relatively common!) condition which results in severe, life-interrupting panic around needles. If this sounds like you, advises Dr. Lee consider seeing a psychologist or therapist. “A professional can help you systematically desensitize yourself against the anxiety and fear around needles,” Lee notes, citing evidence-based Exposure Therapy and Cognitive Behavioral Therapy as two possible options. Chat with your general practitioner for more information and possible treatment options. 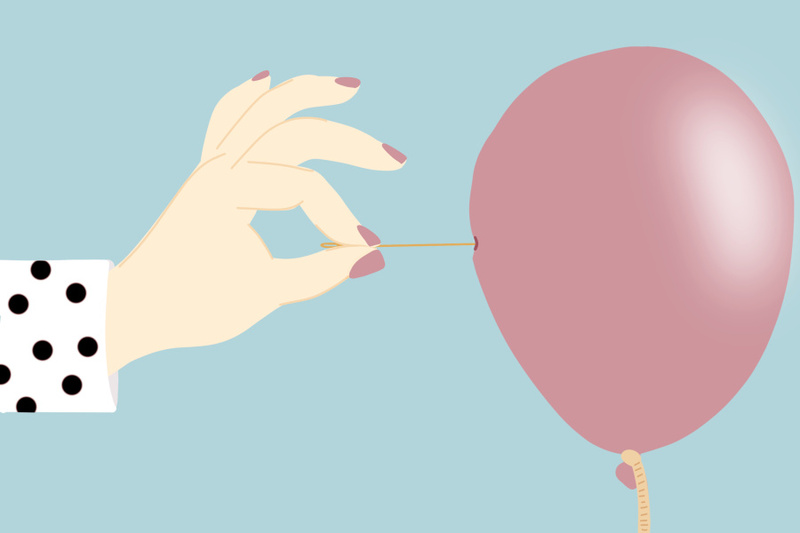 Above all, we advise being open and honest with your provider — whether they’re a cosmetic injector or general care practitioner, there’s no shame in sharing your fears. After all, it’s nothing they haven’t dealt with before! Want to chat about injectables? Our trained aesthetic specialists are here to help. Get real answers, right now from our trained aesthetic specialists!